Coming September 14, 2013 (Durango, CO) and October 12, 2013 (Moab, UT). Join SheRide on their 2-day mountain bike camp. 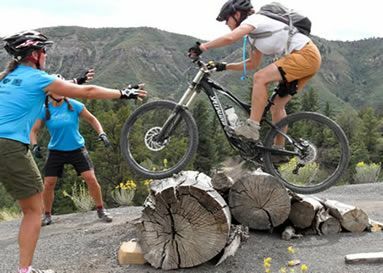 These enthusiastic women will teach you proper mountain bike techniques and help you build the skills and confidence to take on any trail. All levels are welcome. A supportive, women-only environment to boost your mountain bike skills.